Hi Sylvie, your Xmas card is delightful. What a great looking Santa! How's the weather in Gib? Still rainy here. Have a great week-end and thanks for dropping by to say hello. What a super Christmas card I really struggle to think of Christmas when we're waiting for summer to arrive. Wow Sylvie this is absolutely fantastic I totally love that Santa image also the wonderful design, superb card. 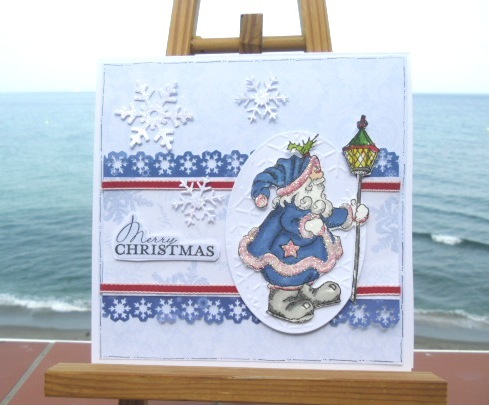 Lovely card Sylvie...love the Santa image...Kerry X.